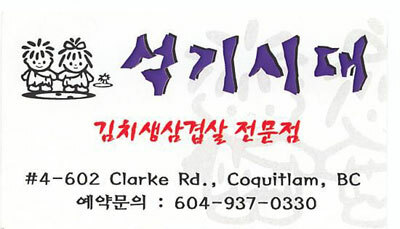 Seok Gi Si Dae Korean Restaurant (map, #4 – 602 Clarke Road, Coquitlam, BC, Canada, phone: 604-937-0330) is a very authentic Korean restaurant, so authentic that you can easily fool yourself into thinking you are in South Korea! All the restaurant’s patrons were sitting cross-legged on the hardwood floor, at low tables (although there are some Western-style tables as well). I found sitting this way added to the experience, combined with the contemporary wallpaper of Korean lettering, bare light bulbs (which reminded my friend of home), and some strangely familiar Korean pop music. Not to be outdone by the fact that I was surrounded by many people speaking their native tongue and enjoying food of their country. There are some English words on the menu, but I recommend ordering the house specialty, which is the first item listed: thick strips of pork fried at a gas grill at your table (pictured below). 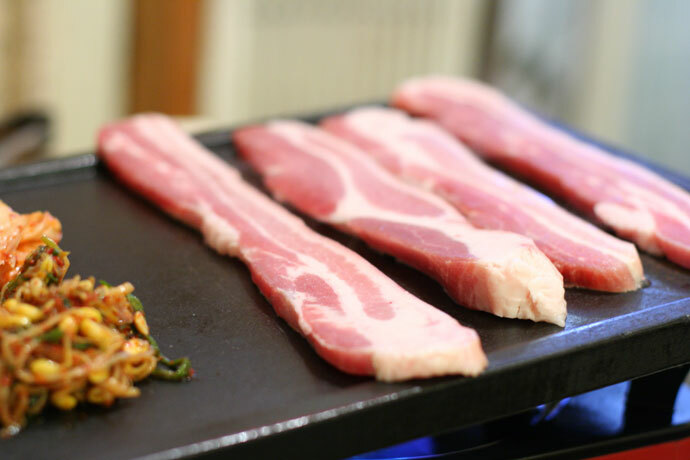 The fat from the pork drips away into a bowl, and once cooked, you cut the sizzling strips of pork into bite size pieces. 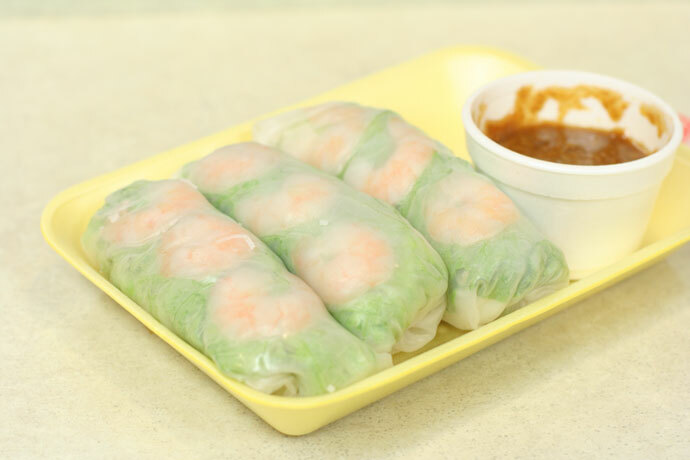 Nestle each piece into a fresh leaf of lettuce, top with a tangy Korean salad (pictured below) and garnish with Jalepeno peppers and raw garlic (if you are so brave!). 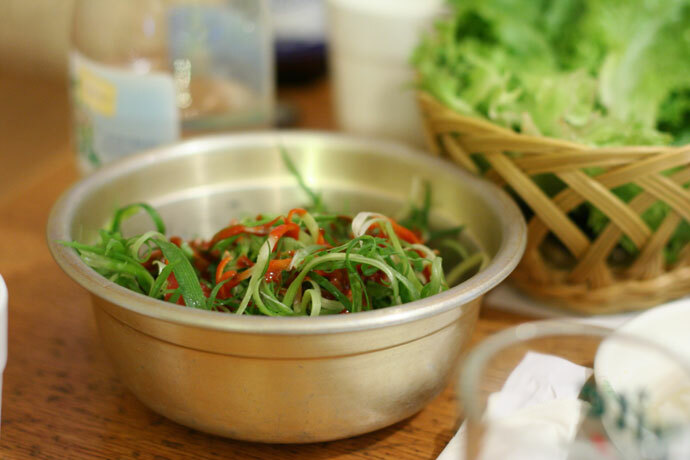 According to my friend, it is a custom in Korea to take an entire piece of pork lettuce wrap and gleefully “stuff” the whole thing into one’s mouth before munching away. 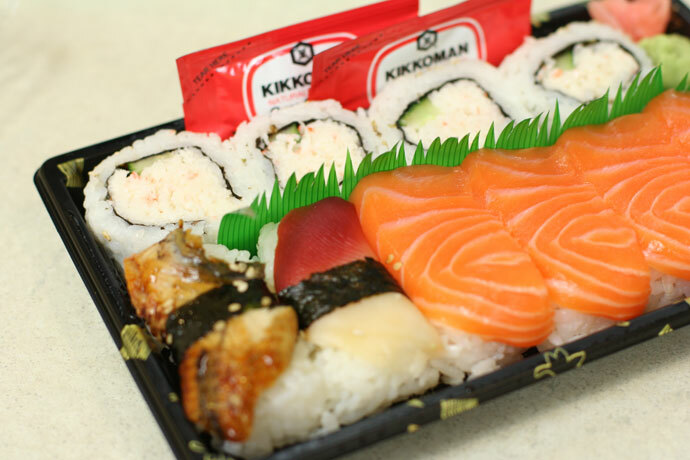 This contrasts with the so-called “polite” western way of eating, where everything is consumed in small morsels with a fork and knife. Perhaps this custom of “gleeful stuffing” developed out of tough economic times when the ability to stuff down any amount of food was considered a luxury. Or maybe it’s to be able to enjoy all the flavors at once. In any case, I thought it was great fun! 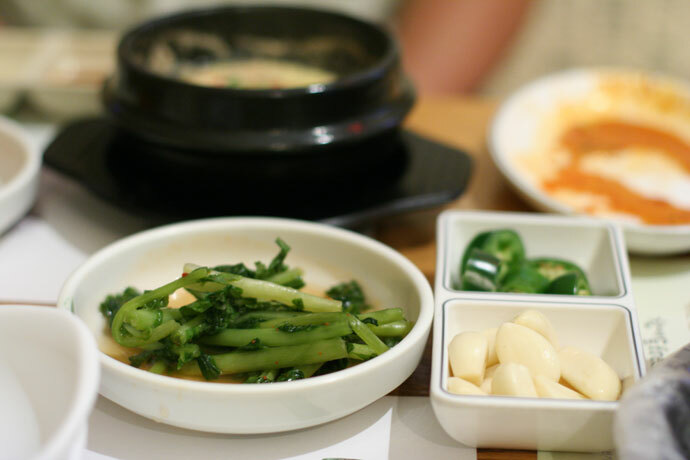 The meal of grilled pork slices (as described above) also included the typical Korean garnishes such as kim-chee, and a really wonderful poached egg served in a stone bowl (also pictured below). The meal finished off with some truly awesome fried rice, grilled on the same surface as the pork where it absorbed all the flavors left behind. 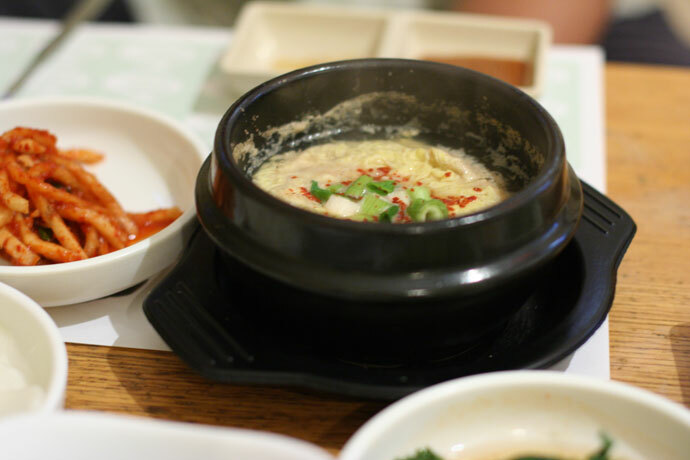 We were quite satisfied with the special pork meal (which is about $15.95 per person), but we wanted to really celebrate so we also ordered a large Korean Pancake ($15, also pictured below). 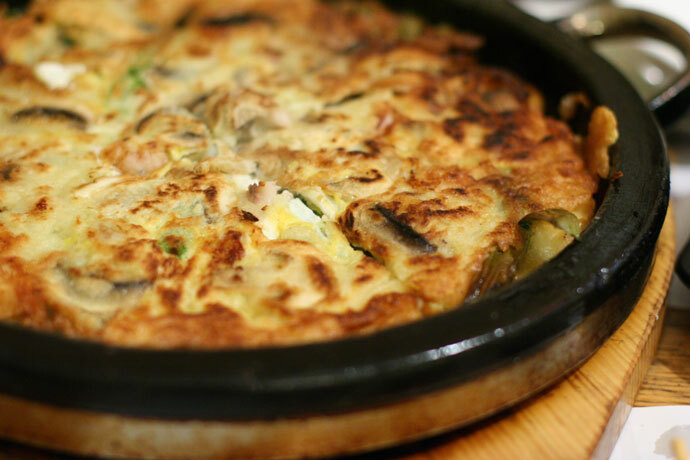 This was really delicious, and was similar to the Japanese pancakes (okonomiyaki) which I have tried around town. 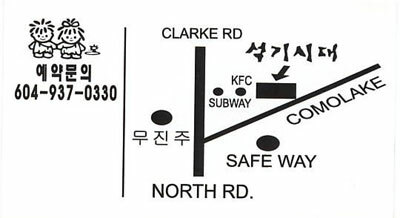 Click here for a picture the name of the restaurant written in Korean, and click here for a map provided by the restaurant. View More Restaurants in the Barbecue category. 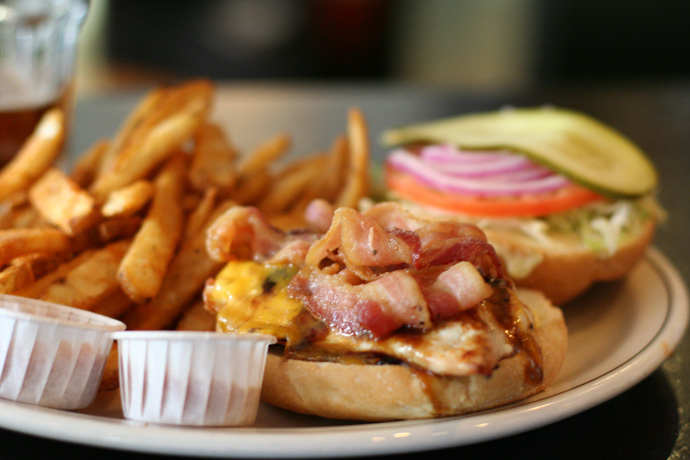 We hope you enjoy the great Barbecue restaurants on Dine Out Here Vancouver.